Engineers had to create a hybrid car that would live up to Ferrari's legendary performance standards. 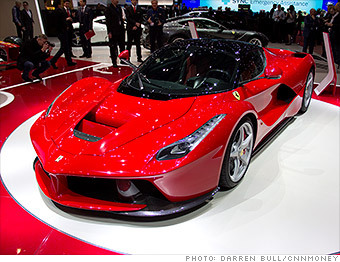 Ferrari's new LaFerrari supercar combines a 789-horsepower gasoline engine with an electric motor to boost the car's total power output to 963 horsepower. With all that power, the car can accelerate from zero to 60 miles per hour in well under three seconds and keep on going all the way to a 205 mile per hour top speed. For a carmaker like Ferrari, a brand built around providing the ultimate in performance, creating a worthy hybrid car was a particular challenge.